All this interest in the mod gaming market got me thinking about NWN/NWN2 mods and comparative RPG games in general again and what it is exactly that motivates players' interest in certain styles of play within the RPG gaming environment. Everybody is different of course, and each will be motivated by different mods/games for different reasons. At the end of this analysis, I will compare my findings with how it relates to NWN2, and, hopefully, how it compares to The Scroll. 1) STORY: Winner: Gothic: Had me hooked straightaway, and not just because it's premise reminded me of my own module. Even though I have not yet finished this game, I still like the overall appeal of how the game sets its pace and keeps me interested in the story. DD comes in second, with KoA coming in last. I felt the latter suffers from a diluted story due to its open-endedness. 2) CONVERSATIONS: Winner: DD: I felt that of the three systems, DD felt the most natural to me. Gothic and KoA were OK and certainly acceptable, but if I had to choose one, it would be DD. Interestingly, having "talking" during the conversations did not affect my choice at all, as I often found myself skipping talk anyway, especially with KoA, which just felt like a lot of superfluous drivel. NB: I know you can ignore all this in KoA by jumping straight to the "top" option, but I like to get involved in other dialogue if possible. This dialogue felt rather one sided though. 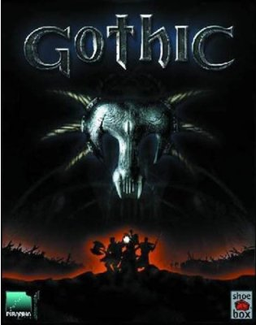 3) COMBAT: Winner: Gothic: Melee speaking, while Gothic has comparatively fewer weapon options than either of the other two games, this actually turned out to be more exciting to play than the myriad number of options that the other two games offered. On the other hand, as far a magic combat goes, DD had the most straightforward method of spell acquisition and usage, which made it more accessible and enjoyable to use, giving it second place. 4) PC DEVELOPMENT: Joint Winner: Gothic/DD: In fact, the only reason KoA actually loses out in this area is because of the inordinate amount of achievements that affect KoA outside of normal development. i.e. There are other aspects beyond the normal skill benefits that can affect the way you PC plays that you decide at level up. 5) MAPS: Winner: KoA: The map system in KoA is extremely well done. It has good map mechanics, including a mini-map. DD comes in a close second, with Gothic trailing in last due to a really clunky way one has to access them. 6) EXPLORATION: Winner: Gothic: This surprised me greatly, because I like exploring and I thought KoA would win hands down. However, I actually found Gothic the more interesting environment to explore because I felt it was more manageable. And for the same reason, DD came in second. KoA, by comparison, felt long winded. 7) CRAFTING: Winner: DD: I like the idea of crafting, and think it can offer a lot to a game. However, I have found that the thing that stops me from using a crafting system more than anything else is how complex it is. Complexity can mean anything from the number of combinations to make a product to the difficulty in applying the skill in the first place. DD was as simple as finding single crafting items and having a skill to apply them to other items. Gothic felt items were too far and between to achieve, and in KoA I felt overwhelmed with the number of options. 8) MECHANICS: Winner: DD: To be fair, NONE of these games had "great" mechanics in my opinion. KoA would have won, had it not been for the lack of a decent "Inventory" access, which really got me down after playing some time. I was surprised at how much the "Inventory" GUI (out of all the GUIs) would have made such an impact on the game experience for me, but it did. I even had more sympathy for Gothic's poorly implemented inventory system compared to KoA in the end. Gothic, while it takes a bit of time to get used to its rather antiquated mechanics, has a good story and a "traditional" character development system, which probably will appeal to old school gamers like myself. Even though Gothic suffers from a lack of a decent mapping system, exploration around the game area feels more exciting than exploring the albeit larger regions that the other two games offer. And when you start to encounter enemies in the game world, your character skills, abilities and weapons all feel more important than the other two games. 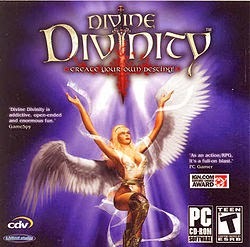 I have not done any crafting in Gothic yet (as it feels too much of an effort to achieve), and recognise that Divine Divinity has better gaming aspects in this region and overall general mechanics, which was the only game I felt crafting was simple enough to apply. DD comes in a second, being closer to Gothic than KoA as an overall result. DD scores higher than KoA due to having a better story and PC development than the latter (in my opinion), but starts to fall down with its similarities that made KoA come last, like innumerable number of items/weapon combinations that don't really mean a lot to me after a while. It also suffered from some large meandering regions, which just felt too tedious, and I was glad to get them done and move on. 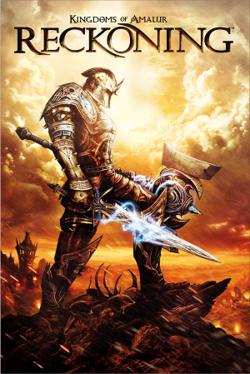 DD did, however, have better overall gaming mechanics than Gothic and a more straightforward crafting system, which gave it an element of interest above the others. KoA, on the other hand, has plenty of place to explore compared to Gothic, but with "plenty" comes a lack of pace and direction (in my opinion). I agree that KoA has done well to tie together all the quests and updates the local and world maps accordingly (winner hands down there), but just because those quests are there to do and the world is there to explore, I feel as though my heart and reason to be motivated to do so are seriously lacking. But what about the greater number of weapon combinations and combos, etc. that KoA offers I may hear you ask? Well, to be honest, the combinations are too many and too vague to be of any real interest or motivation to do anything with. As long as I have a reasonable weapon and/or spell and have developed my PC relatively well, then I will generally be OK. I wouldn't really know if I had found something decent above what I already carried or not really, and after picking up the nth coloured item, I'm not sure if I even have the heart to carry it back to a shop to sell it, even if I could stuff another item into my already limited and difficult to manage inventory. Now we come to the point ... CRPGs come in many flavours with comparable gaming aspects, but with some things that arguably make the game good or bad. I will now take a look at the points raised above with respect to how NWN handles CRPGing, and hopefully, how my own module, The Scroll, will work upon its release. WORLD VIEW: To begin with, NWN offers a superior (in my opinion) number of perspectives to the player to explore the gaming world compared to any other CRPG in the examples above. Gothic uses first person, DD uses fixed isometric, KoA uses a 3D over the shoulder third person. NWN, on the other hand, uses 3D isometric with additional options to make world interaction more flexible, especially when it comes to combat. For this reason, NWN is the superior game when it comes to tactical combat in a CRPG, which is traditionally a style enjoyed by D&D players and the style to employ to duplicate such a roleplaying environment. GAME SYSTEM: Each of the games above uses it own system to allow players to develop their PCs. They all rely on gaining XP, and then selecting skills and/or attributes to increase as the PC develops. The problem with "new" systems, however, is they are never easy to quantify with respect to overall development. The myriad options available in games like KoA or DD do not leave the player with a satisfying knowledge of actually being all that much greater with what they have achieved or acquired. NWN, on the other hand, uses an established D&D system, which uses a D20 system, which any player can quickly learn to understand how an extra 1 on a roll makes a difference to their PC stats. NWN uses an established and recognisable system. COMBAT: Closely tied to the GAME SYSTEM is how combat is handled. The problem with many games (especially the modern ones like KoA), is the mechanics behind combat is as much to do with the ability to click a mouse as it is to do with actual character development. In both of the older games, Gothic and DD, I still felt the difference as to what I could achieve in combat compared to the likes of KoA. Thankfully, in NWN, the robust D&D system means a player will be able to tell when they may or may not be up for a task. In many modern games, it's sometimes hard to tell if a certain creature is tougher than you simply because there is no common ground by which to understand the situation, be it due to the game system used, or because of a unique creature design. Importantly, it will not be dictated by the speed at which they can click a button! WORLD EXPLORATION: NWN comes with very adequate mapping systems, which allow for world maps, area maps and mini-maps. And while they once lacked the Fog of War feature that gave games like DD a greater feel of exploration, my own Fog of War hak now removes that problem for those that implement it, which I have done for my own module. And while some may consider the "area by area" approach of NWN to be a "weakness" of its gaming platform, I have come to realise that it is actually a strength! Why? Because it gives a player a greater feeling of control and achievement while exploring. Unlocking an area, or moving to another outdoor area gives a feeling of progression that seamless exploration cannot give. I believe this is an important point, as this affects the pace of progression for a game. (Although, poorly designed area progression can also feel just as "tedious" as wide open-ended landscapes.) The point being, I believe there is less risk of potential "tedium" in the design of a game that uses separate areas compared to large open areas, like those of some modern CRPGs. The vistas of the latter may look far better, but it takes a great deal more expertise to make those same area interesting compared to area designs, which modders of NWN use. Hats off to Bethesda who do manage to make interesting areas most of the time. NWN MECHANICS: NWN still, in my opinion, offers the best in the way of GUI interaction for the player to play the game and work with their PC compared to any other CRPG I have played to date. There are certainly some aspects I have seen in other games that I have liked, such as the ability to get a description of an item while in the inventory without having to right-click first, but thanks to NWN2 ability to edit XML, such an inventory GUI has been implemented by myself for The Scroll. Couple this with one or two other GUI alterations, such as adding a Bestiary and a Main Menu for other gaming options, and we have at our disposal one of the most versatile GUI systems for any CRPG. Modders of CRPGs have a great tool in NWN, which is not only customisable, but is fundamentally based to work on the well-established 3E D&D rule set. CRAFTING & CREATION: The idea of crafting actually has its roots in item creation from D&D. Therefore, it is no wonder that of all the systems that have come about over time, crafting is one of the more esoteric and potentially more complicated ones to develop. Even NWN has multiple systems, which on the face of it, are quite convoluted and difficult to employ. However, having made the system simpler, I believe I have placed this skill back into the hands of the player who may like to take the time now to develop one or two items that are worthwhile creating. The main thing is, I am hoping that items will be worth taking the time to gather the ingredients to make now, and that process will be easier in the first place too. However, I am also trying to avoid the many combinations and multiple items that can be collected that can make the process too confusing to use in the first place. i.e. I don't want to make a huge list of different items like KoA has when trying to craft or make something. So what does all this mean? Well, basically, I believe modders for NWN already have a massive head start over any and all current CRPGs with the tools/system they have to create their mods with NWN2. In every aspect of general gameplay, they already have a stable and established gaming system that meets the requirements of a CRPG gamer. The only aspect that is missing is the story. So, if the builder has a reasonable skill set, and the time to develop, then using NWN2 they should be able to create a reasonable game that stands up against many (if not all) CRPGs currently written. The point being, however, I have not yet seen any gaming platform for modders come close to NWN2 with respect to a well-established ruleset, an ability to cater for a CO-OP multi-player environment, an ability to customise and still hold its own after all these years. For this reason, I do believe that there is the potential for NWN2 modders to do something special compared to any other mod market out there. And that has to be a good thing!